Originally published in 1963, this classic book is a rethinking of the history of Western political philosophy. Charles N. R. McCoy contrasts classical-medieval principles against the "hypotheses" at the root of modern liberalism and modern conservativism.In Part I, "The Classical Christian Tradition from Plato to Aquinas," the author lays the foundation for a philosophical "structure" capable of producing "constitutional liberty." 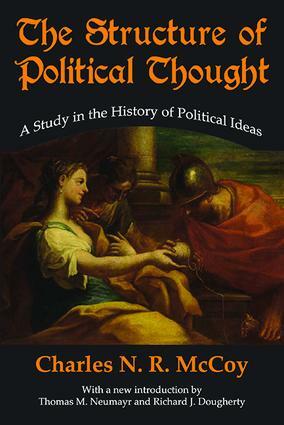 Part II, "The Modern Theory of Politics from Machiavelli to Marx," attempts to show, beginning with Machiavelli, the reversal and destruction of the pre-modern "structure" postulated in Part I.McCoy stresses the great contributions of Aristotle to political thought found in his more familiar Ethics and Politics, but also includes key insights drawn from Metaphysics and Physics. These contributions are developed and perfected, McCoy argues, by Augustine and Aquinas. Two other important features include McCoy's epistemological insights into Plato's work that will be new to many readers and the author's juxtaposition of traditional natural law with "the modernized theory of natural law." The modern account of autonomous natural law, in McCoy's view, helps explain the totalitarian direction of key aspects of modern political thought. This classic volume on the origins of modern philosophical thought remains a standard in the field.